Weight loss surgery option is becoming more and more appealing today. It is an alternative for many people that have been fighting obesity for years. The opportunity of living healthier and happier life is the biggest desire for all of us! People that have done Bariatric surgery say that they are able to take control of their lives again. 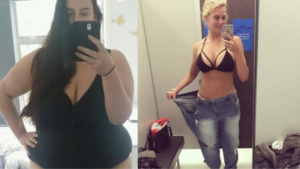 Some of them decided to share their experience after the weight loss surgeries. Mary Leadrow is from Park City, Utah. She had gastric sleeve surgery 3 years ago. In the first 10 months, she had lost 62 kilos (she weighted 124 before the Bariatric surgery). Moreover, Mary had diabetes and she was insulin dependent before the surgery. I am no longer diabetic. I didn’t experience any complications after the weight loss surgery. On the third day, I was able to go home. At home, I took Panadol twice because I had some minimal pain. – Said Mary. She also added that she didn’t exercise at all during the weight loss period. However, she took care of her meals and she sees a dietician on a regular basis. She claims that she can’t be more happy about this surgery because her life is now completely changed and of course, no more insulin injections! Another person that felt confident to share her story was Simone Anderson. One day I woke up and I decided to change my lifestyle completely. I realized my weigh and I was surprised how I wasn’t aware of it in the past. I started by cutting out all of the junk foods, but still, that wasn’t enough. So I decided to have a gastric sleeve surgery and that changed my life completely! She admits that she was feeling constantly hungry and she always had food on her mind. Then she started looking into the weight loss surgery options. The doctor recommended her two options, either the gastric sleeve surgery or the gastric bypass. Simone was young, so she decided to go with the gastric sleeve surgery because it was the least invasive option and seemed the safest to her. The surgery lasted about three hours, and she didn’t experience any pain after it. “I was really surprised and excited at the same time” – says Simone. Over two years, she managed to go from 30 to a size 12. Emma Turman had her gastric bypass weight loss surgery one month ago. The hardest thing for me was being on a liquid diet. For one month, I have lost 32 pounds, which is crazy to me. I didn’t have a bad experience with the surgery. It lasted about 2 hours and I didn’t have any severe pain. On the next morning, I was able to walk and they released me the next day. For the first week, I was on a clear liquid diet. By the third week, it gets easier. You can add refried beans, baked beans, sweet potatoes and etc. Now, I am eating chicken, hamburger, and salmon. I am free to say that my life is really changed so far, in a better way. I am feeling more confident and secure, and I go out more often. I feel great! Drake Brown had his weight loss surgery one year ago. He says that he never really realized how big he was until he lost his weight. I am ashamed to look back at the old photos. I was thinking that I am a little bit overweight person, I never saw myself as an obese individual. I am living the life to my fullest now. I am mad at myself because I let myself down; I was unhealthy for many years and taking medication because of my lifestyle. I am not only looking better, I feel great on the inside. Would I do it again? Definitely yes! – Says Drake. He says that there are moments when he feels down, but he knows that he needs to stay strong and positive all the time. He says that he is able to sit again on a plain and ride his motorcycle. May Walker found the opportunity to live a happier life very attractive, so she decided to have a mini gastric bypass surgery. Over the years, I have tried different food regimes and exercises to lose weight. But nothing really helped me. I experienced depression because of my obesity. But this surgery made me feel alive again. I remember the first days after the weight loss surgery. I felt uncomfortable, but the desire to lose weight and change my eating habits was huge. I soon learned what I should eat, and what are the side effects that I may experience I make errors. After a few months, I was asking myself why I didn’t have this surgery earlier. I took control over my life again! I am no longer depressed and I stopped taking the medications. I see the sunshine clearer now! So, all of the patients that have undergone Bariatric surgery achieved better control of their weight, eating, health and life. It is a huge challenge to learn your own body and find out how much food you can actually eat and what you can tolerate. But at the end, being healthy is what really matters to us! Contact us to get started with your own journey!